SC Villa CEO Vally Mugwanya (right) came out and trushed claims that it was Villa fans who acted like hooligans in the loss away to Vipers. Photo by Shaban Lubega. FOOTBALL–The FUFA Competitions Disciplinary committee has ordered for the deduction of two points off SC Villa Jogoo for the acts of violence by their fans during the Azam Uganda Premeir League match on Saturday 23 September, 2017against Vipers SC at St Mary’s Kitende. The match was won by the home side Vipers SC 1-0 via a Tom Matsiko free kick in the first half but was marred by acts of hooliganism from the visiting side that left parts of the stadium damaged. Based on reports by the match referee, Assessor, video and photographic evidence from the Vipers SC vs SC Villa Jogoo match, the FUFA Competitions Disciplinary Panel, found SC Villa fans to have violated the FUFA Competitions Rules have bene sanctioned accordingly as below. Villa CEO Vally Mugwanya came out on Monday evening and rubbished the claims that it was SC Villa fans who vandalised the stadium. “SC Villa fans are registered and have club jerseys bearing a sponsor’s logo. The fans who made the despicable acts where wearing jerseys minus sponsors and i can say that they are not our fans and Villa is not associated with them in any way,” Mugwanya. 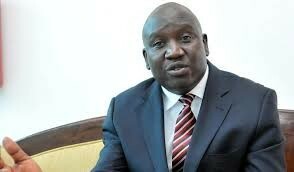 Vipers SC patron Lawrence Mulindwa promised to deal with the hooligans individually. SC Villa Jogoo Manager Jumba Muhammad has been handed a four-match touchline ban for threatening violence against the match referee. Mr. Jumba Mohammed will not be allowed to access the SC Villa Jogoo dressing room while serving the ban (FUFA Competitions Rules Art 30.8 (iii). 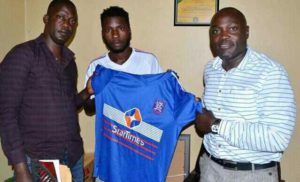 SC Villa Jogoo player Kirya Samson has been suspended for two matches for threatening violence against the referee and unsporting behaviour as per Article 30.2 of the FUFA Competitions Rules. SC Villa loses two points and two goals from the already accumulated seven meaning that they remain with five. In addition, Sc Villa Jogoo has been fined Shs1,000,000 as per Article 30.14 of the FUFA Competitions Rules. The case of vandalism of the stadium and misconduct by individual SC Villa fans mentioned in the Vipers SC’s petition has been referred to the FUFA Disciplinary Committee for further Investigations and action in accordance with Article 6.9 (b) of the FUFA Competitions Rules. The FUFA Competitions Disciplinary Committee has given any grieved party dissatisfied with the decision to appeal within 48 hours of receipt of this communication.